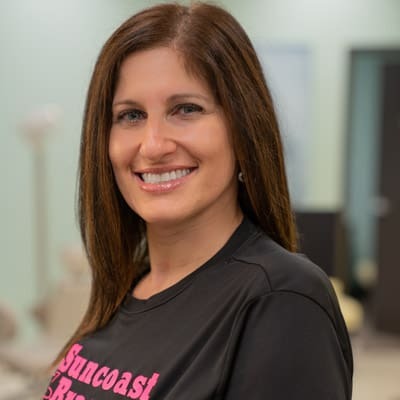 1st Runner Up Best Orthodontist of Hernando: The Hernando Today and The Tampa Tribute Readers Poll 2010. My name is Luisana. I am from Venezuela. I’ve been with Dr. Sheridan since November 2017. I have an amazing husband and two wonderful kids. I enjoy dancing and crafts in my free time… If I did have free time! I received my orthodontic degree from University Central de Venezuela in 2014. 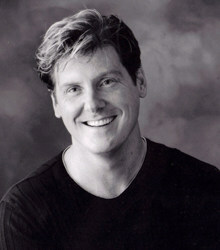 I practiced general dentistry for 10 years and orthodontics for 2. 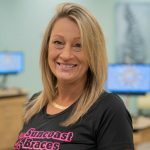 I intend to complete my masters degree at the University of Florida in the fall for my orthodontics degree in the U.S.
Hi! My name is Felicia, I’ve been an Orthodontic Assistant since January 2010. I have been with Dr. Sheridan since March 2015, where I am the marketing director as well as an assistant. I have a daughter named Kenadee, she is an amazing little girl. In my free time, I love to spend time with my family and friends, workout, and do crafts! 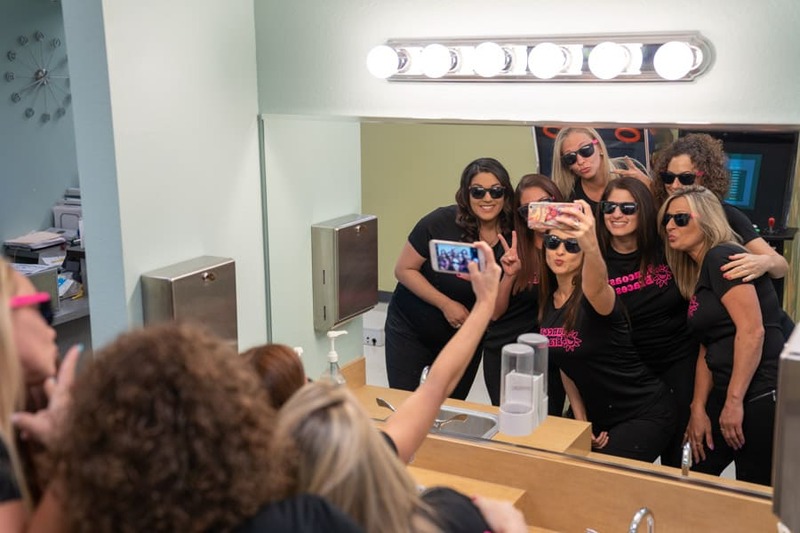 I absolutely love working with the kids/ teens/ adults on getting their smiles to be perfect. Hi. My name is Christina, and I have been an Orthodontist Assistant since 2005. 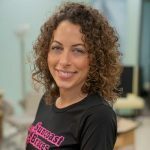 I have been working for Dr. Sheridan since 2014, and I Love my Job! I love seeing all our patients so excited to get braces. Along with assisting I also do the new patients consultations, Insurance and help Felicia with marketing events. I have a beautiful daughter her name is Janelle she was born in 2010, the cool thing is our birthdays are one day apart. Hi, my name is Jennie. 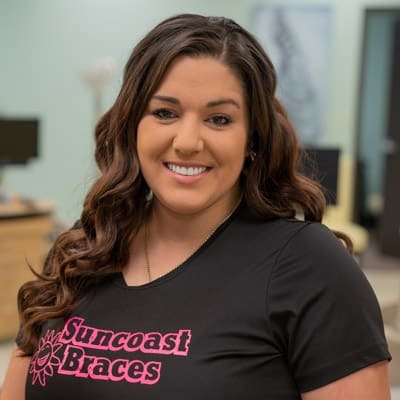 I am an assistant at Suncoast Braces and have been a part of the Suncoast Braces team for three and a half years. 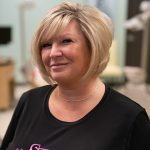 I have been a dental assistant for 17 years. My husband, Eric, and I just celebrated 18 wonderful years of marriage. We have a 14-year-old daughter and an 10-year-old son. My family and I are originally from a small town outside of Pittsburgh Pennsylvania. We enjoy camping together and going to Disney. 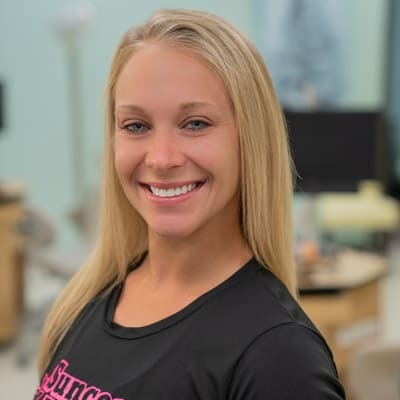 My name is Tiffany, and I have had the pleasure of assisting Dr. Sheridan and co- working with the best staff ever, since October of 2015. While still in school, I was given the opportunity of a lifetime to shadow Dr. Sheridan and the girls for a little over a month. During my internship, I was given the keys to succeed and am confident to say I have learned from the best!! One of the many rewarding things about being an assistant is watching the patients self-esteem build throughout their months of treatment. A little about myself: I absolutely LOVE to make people laugh, I am a Spring Hill native, Felicia and I were born in the same hospital (one day apart) and we are the same age, I have two beautiful puppies, and I am currently engaged to be married to the love of my life, Jared. When I have free time you can find me out on the Hernando Beach Flats, spending time with my amazing friends, or making memories with my beautiful family. 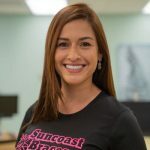 Hi, My name is Jessica and I’ve been the scheduling coordinator at Suncoast Braces for three years. 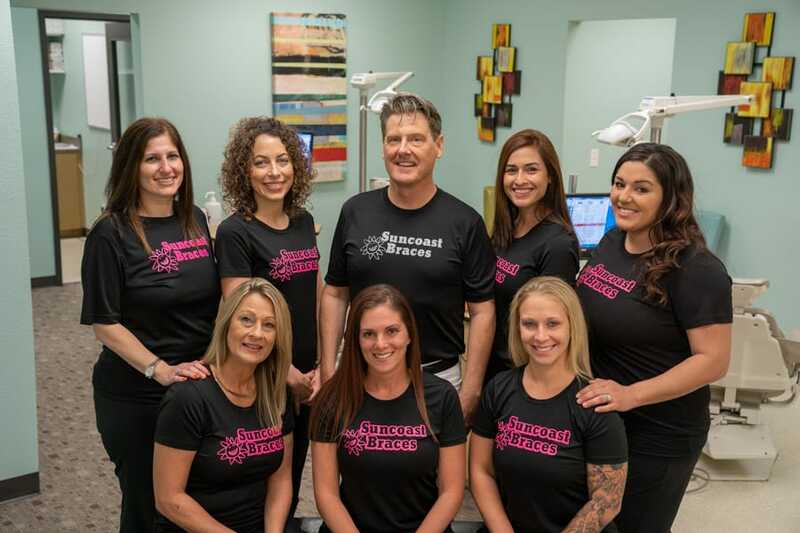 I’ve had the pleasure of working with Dr. Sheridan and our amazing team since October 2014. My favorite part of my job is the relationship I’ve developed with our patients. I love seeing how much their confidence improves while coming to our office. 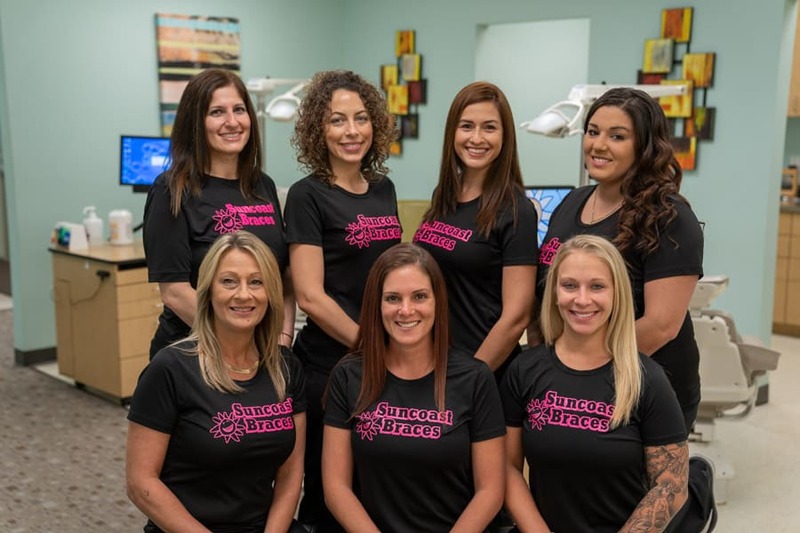 If you are new to our office I will greet you with a smile and take you on a tour so you can meet our wonderful staff. In my spare time, I enjoy spending time with my husband, my 12 year old daughter Ashley, and our new puppy Harley. Hi! My name is Sandy. I’ve been in the dental field for over 20 years now. I have been with Dr. Sheridan since April 2017, where I am the Financial/Insurance Coordinator. I have two grown sons Dustin and Darren and three beautiful grandchildren Hailey, Londyn, and Mason. I enjoy kayaking, fishing, time at the beach and spending time with family. Hi. My name is Sherry. 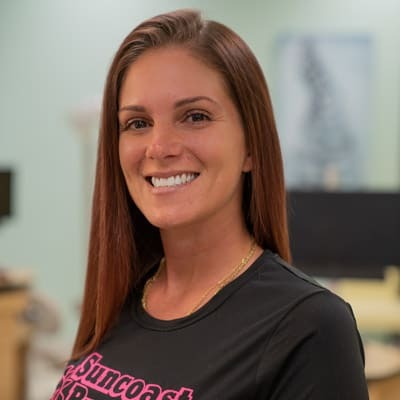 I am the Financial/Insurance Coordinator and newest member here at Suncoast Braces. I started out as a patient of Dr. Sheridan’s two years ago. I love Dr. Sheridan and this amazing staff so much, that now I have the opportunity to be a part of this incredible team. I have two grown sons Nick and Austin, and two puppies, Tator and Nala. My husband John and I have been married 18 years. My family and I are from Columbus, Ohio. We are faithful Buckeye Fans! On Saturdays we wear Scarlet and Grey. “Go Bucks”.